40% w/w silver nitrate pencil in red recyclable plastic holder with push-on cap, labelled with expiry date and batch number. Packed in a printed carton with a Patient Information Leaflet. Product description in braille on carton. Carton labelled with expiry date and batch number. 10 cartons packed into one box. 40% w/w silver nitrate pencil in red recyclable plastic holder with push-on cap, labelled with expiry date and batch number. Packed in a sealed plastic bag with a Patient Information Leaflet. 12 pencils packed in a plain box. Made to order. 95% w/w silver nitrate pencil in blue recyclable plastic holder with push-on cap, labelled with expiry date and batch number. Packed in a printed carton with a Patient Information Leaflet. Product description in braille on carton. Carton labelled with expiry date and batch number. 10 cartons packed into one box. 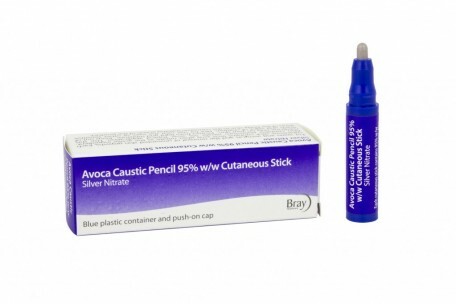 95% w/w silver nitrate pencil in blue recyclable plastic holder with push-on cap, labelled with expiry and batch number. 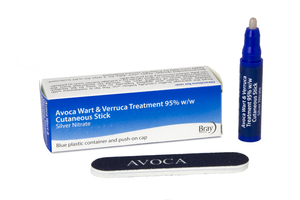 Packed in a printed carton with a Patient Information Leaflet and an Emery Board. Product description in braille on carton. Carton labelled with expiry date and batch number. 10 cartons packed into one box. 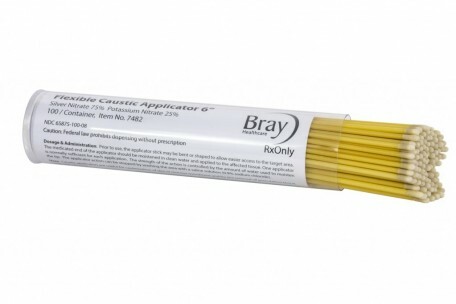 75% w/w silver nitrate applicator, with a 15cm (6 inch) long bendable yellow plastic stick. 100 packed 10 per bag in a printed carton. Bags and carton have expiry date and batch number printed. Product description in braille on carton. 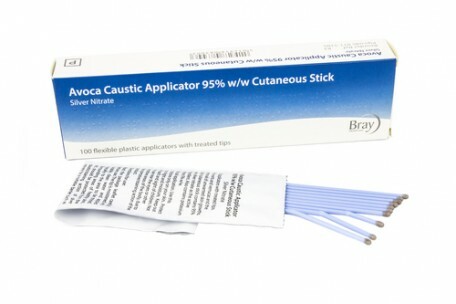 95% w/w silver nitrate applicator, with a 15cm (6 inch) long bendable blue plastic stick. 100 packed 10 per bag in a printed carton. Bags and carton have expiry date and batch number printed. Product description in braille on carton. 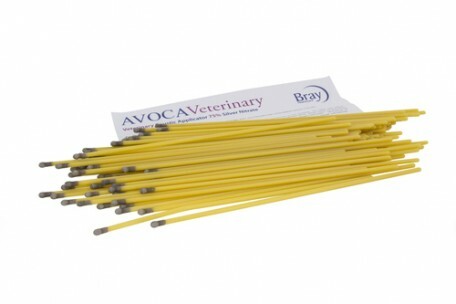 75% silver nitrate applicator with a 15cm (6 inch) long bendable yellow stick that is double the thickness of Ref: 82. There are 50 applicators in a printed carton packed 10 per bag which is sealed and light fast. Bags and Carton have expiry date and batch number printed. Product description is in braille on the carton. 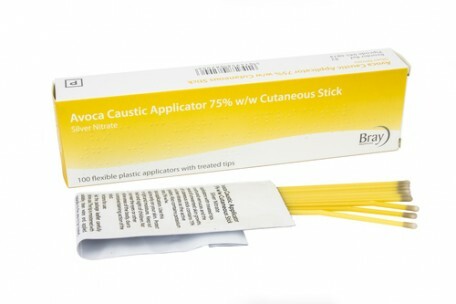 75% w/w silver nitrate applicator, with a 15cm (6 inch) long bendable yellow plastic stick. 100 packed in a light fast sealed bag into a tube or printed carton with a Patient Information Leaflet. Bags and cartons have expiry date and batch number printed. Can be provided in a Private Label format. 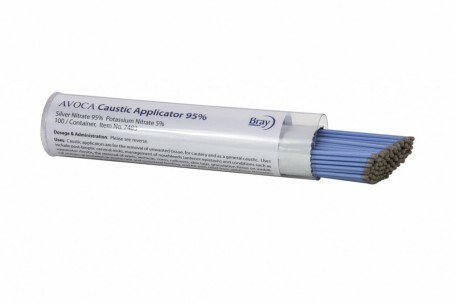 95% w/w silver nitrate applicator, with a 15cm (6 inch) long bendable blue plastic stick. 100 packed in a light fast sealed bag into a tube or printed carton with a Patient Information Leaflet. Bags and cartons have expiry date and batch number printed. Can be provided in a Private Label format. 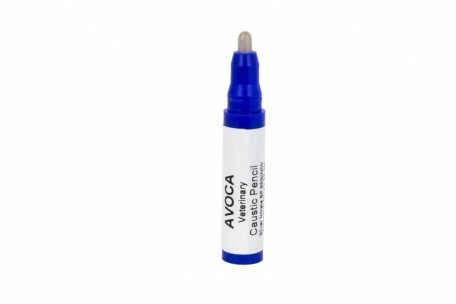 95% w/w silver nitrate pencil in blue recyclable plastic holder with push-on cap, labelled with expiry date and batch number. Packed in a sealed plastic bag with an Information Leaflet. 12 pencils packed in a plain box. 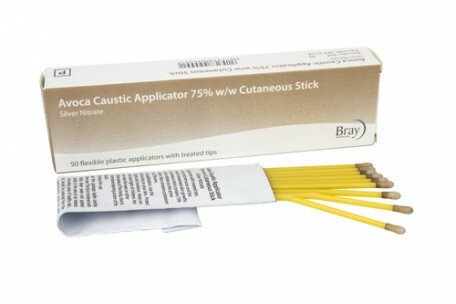 75% w/w silver nitrate applicator, with a 15cm (6 inch) long bendable yellow plastic stick. 100 packed and sealed in a plastic bag with an information leaflet in a plain carton. Carton is labelled with expiry date and batch number.